Ghasem Nasris a full Professorwith the Chair in Mechanical Engineering and Innovation in the School of Computing, Science and Engineering (CSE) and Non-Exec Director of Salford Valve Company Ltd (Salvalco). He is a Head of Spray and Petroleum Technology Research Groups and Head of Petroleum and Gas Engineering in the School of CSE.He has over 25 years academic and industrial experience which encompasses research, innovation management, development, commercial and enterprise, curriculum development, management and resources. The groups have collaborated and worked on various fundamental and applied research and development projects with over 100 multi-national companies and educational establishments. Expert in ‘industrial’ atomiser design, atomisation processes, spray characterisation and their formation, utilising advanced laser instrumentations, imaging techniques, process development, CFD modelling and NPD (New Product Development) with ergonomics and cognitive issues. Supporting businesses and commerce worldwide utilising these skills protracted over two decades. His pioneer works in ‘industrial’ spray, since 1988, has been embedded in every spray related matters and conference meetings worldwide. His work has application in nanotechnology, petroleum, steel manufacturing, pharmaceutical, food, agriculture, aerospace, propulsion, humidification, automotive, decontamination, medical, aerosol, etc. He is the lead author of three major books in Industrial Sprays and Atomisation, Gas Engineering, downstream process (Springer Verlag publisher) and Next Generation of Domestic AIRosol (pending publication) with over 120 journals, refereed conference publications and industrial reports. He is a Chartered Engineer (CEng), Fellow of IGEM (Institute of Gas and Managers) and Fellow Member of IMechE, Eur Ing (FEANI) and Member of ILASS (Institute of Liquid Atomisation and Spraying Systems). Dr. Cheung is currently the James L. Knight Professor of Biomedical Engineering and Professor of Medicine and Orthopedic Surgery at the University of Miami. He also holds the highly prestigious rank of the Senior Veteran Affairs Research Career Scientist at the Miami Veteran Affair Medical Center at Miami, Florida. Such appointment is limited to only 50 or so scientists in the Department of Veteran Affairs Research Service in United States. Besides being the Editor of the E-Book “Stem Cells and Regenerative Medicine”, Dr. Cheung also serves on the editorial boards of Cartilage & Osteoarthritis, Anatomical Record, World Journal of Transplantation and World Journal of Stem Cells. He is the Editor-in-Chief of the Current Tissue Engineering Journal, guest Editors for the Current Rheumatology Review Special issue “Stem Cells, Cartilage Repair and Osteoarthritis” and the Journal of Biomedicine and Biotechnology. He was a member of NIH study sections, VA Merit Review Boards, foundations and the Cell Biology Section of the Arthritis Foundation. He was the site Director of NSF Industry/University Center for Biosurfaces and co-Director of the Cellular Therapy and Tissue Engineering Initiative at University of Miami. He is one of the Founding Members of the Walter H Coulter Center for Translation Research and Interdisciplinary Stem Cell Institute at the university. Dr. Cheung has received national and international awards including: NIH Postdoctoral Fellowship, the NIH Research Career Developmental Award, the Arthritis Foundation Robert Doucette Research Award, the Miami VA Special Contribution awards, the 5-year National VA Research Career Scientist Award, the U. of Miami Dean’s Senior Laboratory Research Award, and more recently the prestigious 7-year Senior National Veteran Affair Research Career Scientist Award. In 2011, he was named the Distinguish Visiting Scholar Award by the Chinese University of Hong Kong. 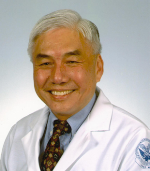 In 2012, Dr. Cheung was named the S. Florida Federal Employee of the Year Award as well as S. Florida Employee of the Year in the Scientific Division out of 165,000 Federal Employee in Florida. He was given a Certificate of Special US Congressional Recognition signed by Florida Senator Bill Nelson in honor of his invaluable contribution to the state of Florida. Dr. Richard J. Spontak is an Alumni Distinguished Professor of Chemical & Biomolecular Engineering and Materials Science & Engineering at North Carolina State University and was the 2012 Lars Onsager Professor at the Norwegian University of Science & Technology. A member of several honor societies including Phi Kappa Phi, Tau Beta Pi, Sigma Xi, Alpha Sigma Mu, Phi Lambda Upsilon, Scabbard & Blade, and Omicron Delta Kappa, Spontak received the B.S. degree in Chemical Engineering (with honors/high distinction) from the Pennsylvania State University in 1983 and was later awarded the Ph.D. degree in Chemical Engineering (under the supervision of M.C. Williams) from the University of California at Berkeley in 1988. He then pursued post-doctoral research with A.H. Windle in Materials Science & Metallurgy at the University of Cambridge (UK) and T. Riste in Condensed Matter Physics at the Institutt for Energiteknikk (Norway) before joining the Corporate Research Division of the Procter & Gamble Company in 1990. In 1992, he accepted a faculty position at North Carolina State University, where he supervises the Polymer Morphology Group. Since that time, Spontak has published over 275 research papers, and his work has been featured on the cover of 19 journals and 1 book. Although active in a diverse range of disciplines, his primary research interests relate to the phase behavior and morphology/property development of nanostructured polymers, polymer nanocomposites, electron microscopy, and stimuli-responsive media including (supra)molecular organogels. In recognition of his fundamental and applied research endeavors, he is the recipient of numerous honors and awards such as the Sigma Xi Outstanding Research Award, the Alcoa Foundation Engineering Achievement and Distinguished Engineering Research Awards, Alexander von Humboldt and Tewkesbury fellowships, the North Carolina State University Alumni Outstanding Research Award, the 2006 American Chemical Society (PMSE Division) Cooperative Research Award in Polymer Science & Engineering, the 2007 German Society for Electron Microscopy Ernst Ruska Prize, the 2008 American Chemical Society (Rubber Division) Chemistry of Thermoplastic Elastomers Award, the 2011 Institute of Materials, Minerals and Mining (IOM3) Colwyn Medal, and the 2012 Norwegian University of Science & Technology Lars Onsager Medal. An elected fellow of the American Physical Society and IOM3, he is or has been on the editorial advisory board of 17 international journals and is editor-in-chief of 3 of them. He has been recognized as a 2007 Outstanding Scholar Alumnus and a 2012 Alumni Fellow by the Pennsylvania State University. Spontak is also a highly acclaimed educator and academic mentor. For his instructional effectiveness employing cooperative and active learning pedagogies in the classroom, he has been elected to the North Carolina State University Academy of Outstanding Teachers and selected for the UNC System Board of Governor's Award for Excellence in Teaching, the highest instructional honor bestowed by the University of North Carolina system. He has been active in promoting multidisciplinary undergraduate research and design, for which he received the 2006 International Network for Engineering Education & Research Recognition Award and the 2009 American Society for Engineering Education Southeast Region Outstanding Mid-Career Teaching Award. He presently resides in Raleigh with his wife Josephine and his two children, Danielle and Joshua. Stimuli-responsive media including (supra) molecular organogels. 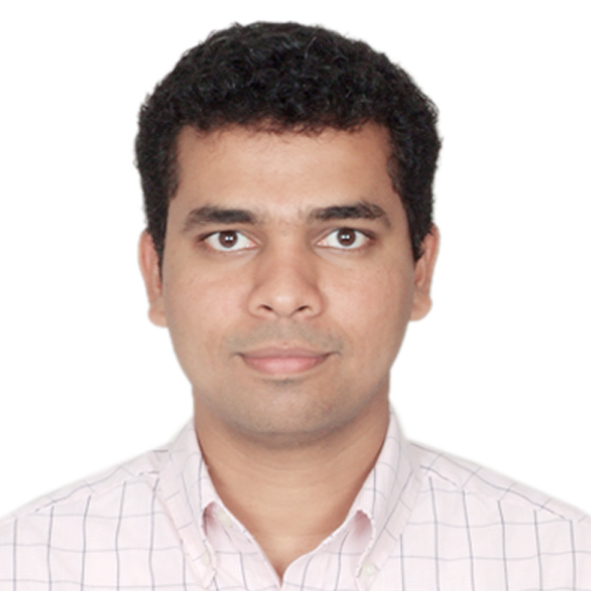 Dr. Ganesh Kumar Mani is a Post-Doctoral Researcher at Micro / Nano Technology Center, Tokai University, Japan. He completed his Ph.D. in Nano Sensors Lab @ Centre for Nanotechnology & Advanced Biomaterials (CeNTAB) and School of Electrical & Electronics Engineering, SASTRA University, Thanjavur, India. He published over 40 research papers in reputed international journals with the cumulative impact factor over 70 with a few papers under review. He is also one of the inventors in two patents titled "Low Concentration Ammonia Vapour Sensor (Ref. No.28261N004) & Acetaldehyde Sensor Using ZnO Nanoplatelets (Ref. No. 2826IN015). He visited Orebro University, Sweden during 2012 and 2013 respectively, which gained him exposure towards research carried out in an international platform. He has also participated and organized national and international conferences and presented posters in various institutions among which he has been awarded with Best Poster Award in NANO INDIA 2015 conferred by Professor C.N.R. Rao, FRS, National Research Professor, Linus Pauling Research Professor & Honorary President. He also won “Best Ph.D. Dissertation Award” for his doctoral thesis work. He worked at Central Glass and Ceramic Research Institute, Kolkata titled "Patterning of Sol-Gel based Zn1-xMnxO Thin Films by Capillary Force Soft Lithography" under Dr. Sunirmal Jana, Principal Scientist, Sol-Gel Division.His current research interests are fabrication and development of nanostructured(Nanospheres, Nanorods, Nanowires, Nanoplatelets, Nanosheets) thin film based gas / chemical sensors for predicting food quality, developing thin film based pH sensors for biomedical applications and developing painless microneedles for multifunction applications, etc. Matthew Bernards is an Assistant Professor of Chemical Engineering at the University of Missouri. He received his B.S. degree in Chemical Engineering at the University of Washington (2001) and a dual Ph.D. in Chemical Engineering and Nanotechnology, also at the University of Washington (2008). His research group is focused on understanding the interactions that occur between biological entities and material interfaces and using this knowledge to design biomaterials that facilitate healing at the molecular level. Biomaterials and Biointerfacial Sciences (Controlled Surface Chemistry, Protein Adsorption, Nonfouling Materials, Controlled Protein Orientation, Biomineralization, Cellular Adhesion, Controlled Stem Cell Differentiation, Advanced Filtration). Thorium based Power Generation (simulation and reactions). 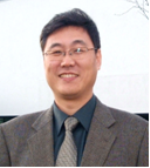 Dr. Yong X. Gan joined the Department of Mechanical Engineering, California State Polytechnic University-Pomona in 2012 as Associate Professor. He served in Department of Mechanical, Industrial and Manufacturing Engineering at The University of Toledo (UT) from 2007 to 2012 as Assistant Professor. He was with Department of Mechanical Engineering at The Cooper Union for the Advancement of Science and Art as Assistant Professor from September 2005 to August 2007. He received his undergraduate degree in Chemical Engineering in 1984 from Hunan University, Changsha, China. He received his M.S. and D.Eng. in Materials Science and Engineering from Beijing University of Aeronautics and Astronautics (BUAA), Beijing, China in 1987 and 1992, respectively. He received his M.Phil in 2004 and Ph.D. in 2005 from Department of Mechanical Engineering, Columbia University. His major teaching and research activities are on materials processing, microstructure analysis and mechanical property characterization. Before came to USA, he was a faculty member in the Department of Materials Science and Engineering at Beijing University of Aeronautics and Astronautics and he participated in research projects on metal, ceramics and composite materials processing and manufacturing sponsored by National Natural Science Foundation of China and Chinese Aeronautical Science Foundation. From 1995 to 1997, as Visiting Research Scholar at Auburn University, Alabama, he worked on synthesis of conductive polymeric composite materials. From 1997 to 2002 he worked as Research Associate in the Mechanical Engineering Department at Tuskegee University, Alabama, in the field of fracture, fatigue and failure analysis of polymers and composite materials. He is a member of American Society of Mechanical Engineers (ASME). He is also a registered Professional Engineer (P.E.) in the State of Alabama, USA. Manufacturing conducting polymer based multilayer composite nanorods for energy conversions. Structural assessment, Seebeck Effect and Hall Effect coefficient measurements for the composites. Mousa I. Hussein received the B.Sc. degree in electrical engineering from West Virginia Tech, USA, 1985, M.Sc. and Ph.D. degrees from University of Manitoba, Winnipeg, MB, Canada, in 1992 and 1995, respectively, both in electrical engineering. From 1995 to 1997, he was with research and development group at Integrated Engineering Software Inc., Winnipeg, Canada, working on developing EM specialized software based on the Boundary Element method. In 1997 he joined faculty of engineering at Amman University, Amman, Jordan, as an Assistant Prof. He is currently with the Electrical Engineering Dept. at the United Arab Emirates University. 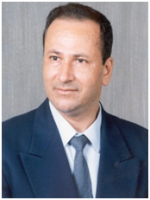 Dr. Hussein current research interests include, computational electromagnetics, electromagnetic scattering, antenna analysis and design, EMI and signal integrity, Metamaterial, and application of nano particles and plasmonic to solar cells. Dr. Hussein supervised several PhD and MSc students. He has served as the head of the Electrical Engineering ABET assessment committee, and the Material Science and Engineering graduate program coordinator. 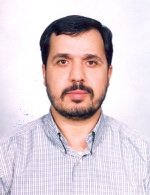 Dr. Hussein is senior member of IEEE and the vice chair of IEEE-UAE MTT-S Chapter. Antenna analysis and design, EMI and signal integrity, Metamaterial, and application of nano particles to solar cells. Instruments, USA, during 1992-94. He is the Founding Chair of Smart Actuators/Sensors Committee, Japan Technology Transfer Association sponsored by Ministry of Economics, Trading and Industries, Japan since 1987, and a long-term Chair of International Conference on New Actuators, Messe Bremen, Germany since 1997. He was also the associate editor for Journal of Advanced Performance Materials, J. Intelligent Materials Systems and Structures and Japanese Journal of Applied Physics. 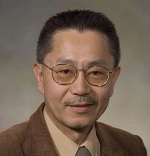 Uchino served as Administrative Committee Member (Elected) of IEEE Ultrasonics, Ferroelectrics and Frequency Control (1998-2000) and as Secretary of American Ceramic Society, Electronics Division (2002-2003). Solid state physics(especially in ferroelectrics and piezoelectrics, including basic research on theory, materials, device designing and fabrication processes, as well as application development of solid state actuators/sensors for precision positioners, micro-robotics, ultrasonic motors, smart structures, piezoelectric transformers and energy harvesting). K. Uchino is known as the discoverer/inventor of the (1) lead magnesium niobate (PMN)-based electrostricive materials, (2) cofired multilayer piezoelectric actuators (MLA), (3) superior piezoelectricity in relaxor-lead titanate-based piezoelectric single crystals (PZN-PT), (4) photostrictive phenomenon, (5) shape memory ceramics, (6) transient response control scheme of piezoelectric actuators (Pulse-Drive technique), (7) micro ultrasonic motors, (8) multilayer disk piezoelectric transformers, and (9) piezoelectric loss characterization methodoloy. Dr. Dongyan Ding received his BS and MS degrees from Henan University of Science and Technology, both in materials science. In 2000, he obtained hisPhD degree in materials science fromHarbin Institute of Technology. He did a two-year postdoctoral work and later became an associate professor at School of Materials Science and Engineering in Shanghai Jiao Tong University. From 2004 to 2006, hewas a visiting scholarin Center for Nanoscale Science and Engineering and Department of Electrical Engineering, University of Kentucky. 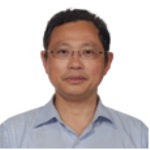 His current research interests include microelectronic materials and technology, nanosensorsand heat-transfer materials. Dr. Ding is an active member in several professional societies including Shanghai Nonferrous Society and CMRS Youth Branch. He has served as the general-secretary of the 8th International Conference on Electronic Packaging Technology and the 2009 International Forum on Electronic Interconnect Technology. He has published more than sixty papers and hold five patents. One of his papers received the Excellent Paper Award in ICEPT-HDP2009 conference and three of his journal papers were reported in the IOP Nanotechnology website. His sponsors include Siemens, Air Liquide, Huafon Al, Shanghai Shenkai, etc. Sanjeev Khanna joined the Mechanical and Aerospace Engineering Department at the University of Missouri in 2001. He is currently a La Pierre Professor, Director of Energy Solutions and Research Center in the Mid-West Energy Efficiency Research Consortium, and Assistant Director of Missouri Industrial assessment Center. He came to the University of Missouri after serving for four years in Mechanical and Industrial Engineering department at the South Dakota School of Mines and Technology, Rapid City, South Dakota. Khanna’s background and interests relate to research in the areas of solid mechanics and materials behavior with emphasis on materials development (such as transparent composites) and characterization (such as nano-mechanical testing and blast effects on composites), manufacturing and design with emphasis of welding engineering and characterization of welded joints (such as spot welds and friction stir welds), and energy efficiency in industrial and agricultural operations (such as evaluation, monitoring and verification (EM&V) of energy usage). He has introduced the method of Problem Based learning (PBL) in the undergraduate mechanical engineering curriculum. Khanna is the recipient of the prestigious ‘Career Award’ from the National Science Foundation (NSF). He is also the coauthor of the exemplary textbook “Mechanics of Materials: A Modern Integration of Mechanics and Materials Science in Structural Design”, published by Elsevier Academic Press. Solid mechanics, experimental mechanics, optical mechanics, quasi-static and dynamic fracture of monolithic and composite materials, dynamic behavior of materials, composite materials development and characterization, nano-composites, nano-mechanical behavior of materials, residual stress measurement. Welding engineering and design of welded structures: spot welding and friction stir welding. Integration of mechanics, materials, and design in the engineering and K-12 curriculum, problem based learning (PBL). Energy efficiency and conservation in industrial and agricultural systems, energy education and training. More than 20 years of research experience in applied optics, near-field optics, and nano-optics, in nanodevice fabrication, nanofabrication method and nanoscale thin film materials. He has published more than 100 papers as first author or corresponding author and 20 international and domestic patents. Now he is a professor and director of Science & Technology Managing Department in National Center for Nanoscience and Technology (NCNST), China. Prof. Mu-Ping Nieh received his B.S. degree from the department of Chemical Engineering at National Taiwan University and Ph.D. degree from the department of Chemical Engineering at University of Massachusetts, Amherst. Afterwards, he became a postdoctoral researcher employed by Pennsylvania State University while stationed at National Institute of Standards and Technology Center (NIST) for Neutron Research (NCNR). In 2002, he joined the Canadian Neutron Beam Centre as a visiting fellow and later promoted to a position as research officer. In 2010, he took the faculty position at University of Connecticut as an associate professor at the Institute of Materials Science and the Chemical and Biomolecular Engineering department, and in 2013 he also joined the Biomedical Engineering department. Prof. Nieh has published more than 60 peer-reviewed scientific articles in many prestigious international journals, filed 2 patents and authored 6 book chapters. He has numerous invited and conference presentations as well. He is currently co-editing a book “Liposomes, Lipid Bilayers & Model Membranes: from Basic Research to Technology” with Drs. Georg Pabst, Norbert Kučerka and John Katsaras. Prof. Nieh has received two National Science Foundation awards and several grants from UCONN (total > $ 1 million). Prof. Nieh also serves as a committee member for reviewing grant and beamtime proposals submitted to DoE, NSF, Oak Ridge National Laboratory, NCNR and Center for Functional Nanomaterials at Brookhaven National Laboratory. He is a member of American Physical Society, American Chemical Society, American Institute of Chemical Engineering and Neutron Scattering Society of America. Self- or directed- assembling structure-function relationship of soft materials (polymers, phospholipids, surfactants and proteins). Applications of the research range from nanoparticles, structural stability in micro- or nano- emulsion, targeting-delivery carriers, sensing materials, 3-D nano-scaffold, proton exchange membranes, polymer brushes and enhanced-alignability free-standing membranes. Many spontaneously-forming, regular-sized nanoparticles (NPs), e.g., nanodiscs, nano-vesicles and ribbons can be obtained based on the molecular architectures. Modification, encapsulation and large-quantity nanomanufacturing of these uniform NPs for their applications in cell or animal studies. Dr. Mourad obtained his BSc., and MSc (1989) in mechanical Engineering from Helwan University, Egypt, and his PhD in Fracture Mechanics area, Indian Institute of Technology, Bombay, in 1996, then he joined the Mechanical Design Department, Helwan University, as an assistant professor. In 1998, he took up a postdoctoral fellowship from the Department of Aerospace Engineering, Applied Mechanics and Aviation, the Ohio-State University, US. Dr. Mourad joined the Mechanical Engineering Department, United Arab Emirates University in August 2000 as an Assistant Professor. He has been promoted to the Associate Professor of Solid Mechanics and Materials Science and Engineering rank in 2003, Helwan University, and to the same rank, in 2005 at the Mechanical Engineering Department, UAE University. In 2007, he took up a Visiting Professor position, from IITB, Bombay. He has been promoted to full professor rank, Helwan University in 2009. 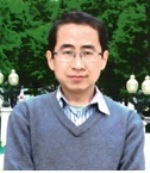 His main research areas of interest are: mechanical behavior and characterization of materials, fatigue and fracture of materials, stress analysis, stress corrosion cracking, finite element method, failure analysis and prevention, friction stir welding, durability and degradation of composite materials, biomaterials and nanotechnology. He has supervised many MSc and PhD students’ theses and led many research projects. Dr. Mourad’s research has resulted in more than 100 referred and peer reviewed international journalsand conference papers. He has been also acted as a session chair, co-chair and session developer in many international conferences. 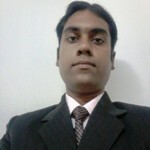 He is member of Materials and Fabrication committee, ASME PVP division. Dr. Mourad is the Editor-in-Chief of Emirates Journal for Engineering Research and director of the mechanical engineering graduate studies program, UAEU. 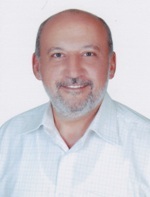 Dr. Alsaffar worked at Almystansiria University since 1991 as Assistant Professor, Head of Material Engineering and is a visiting professor in the Industrial and Manufacturing Systems Engineering Department at the University of Missouri. Al-Saffar’s current research focuses on quality management systems and their applications to universities in areas of increased productivity, safety and quality. 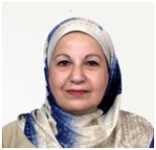 She previously worked as senior engineer in the Industrial Project Company with Iraq’s Ministry of Industry, and as a production engineer with the National Enterprise for Asbestos Industry in Iraq. Al-Saffar has served as head of the Material Engineering Department at the College of Engineering at Al- Mustansirya University since 1991. Iraq’s Ministry of Higher Education and Scientific Research in Baghdad has funded her research. 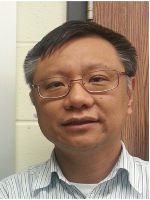 Dr. Cheng-fu Chen is an associate professor in the Department of Mechanical Engineering at the University of Alaska Fairbanks (UAF), Fairbanks, AK. He received Ph.D. in Mechanical Engineering at the University of Wisconsin-Madison (UW-Madison) in 2000. Prior to joining UAF in Nov., 2002, he has been a Research Associate on calculating the photomasks distortions under thermomechanical loading at UW-Madison since 2000. He has been selected as an Air Force Summer Faculty Fellow in 2009, and a visiting scholar to the Industrial Technology Research Institute (ITRI), Hsinchu, Taiwan, in the summer of 2013. He has more than 40 publications in various journals and conference proceedings. 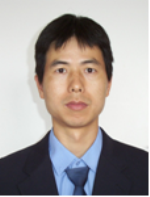 Cheng Fu Chen research interests span the fields of biomaterials, microfluidics, and thermomechanical aspects of electronic packaging. His research activities in microfluidics yield a pending patent application and a few publications about using droplet-based microfluidics for sampling. His work on equivalent modeling of thermomechanical properties of through-silicon-via interposers has been recognized by ITRI for facilitating commercialization of a software package for designing 3DIC integration. His research in biomaterials is primarily on the characterization of biodegradable magnesium alloys in and their use as an implantation material. 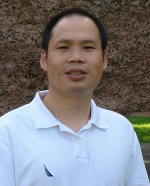 Prof. Wenjun Zhang studied physics and materials science at Lanzhou University, PR China. (B.Sc. 1988, M. Sc. 1991, Ph.D. 1994). He was a post doc at the Fraunhofer institute for Surface Engineering and Thin Films (FhG-IST) in Braunschweig, Germany, from 1995 till 1997. He became a research fellow in City University Hong Kong from 1997 till 1998, then spent two years in National Institute for Research in Inorganic Materials (NIRIM), Japan as a Science and Technology Agency (STA) Fellow. In December 2000 he joined City University Hong Kong again as a senior research fellow. He is now a Professor in the Department of Physics and Materials Science, and he is also a core member of the Center Of Super Diamond and Advanced Films (COSDAF). Prof. Qudong Wang born in 1964, he is a professor in national engineering research center of light alloys net forming in school of materials science and engineering, Shanghai Jiaotong University. He got his bachelor degree in 1985, Master degree in 1988, Doctor degree in 1995 in Materials science and engineering. 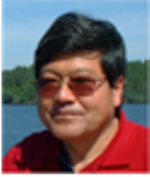 He was a guest researcher in National Industrial Research Institute of Nagoya, AIST, Japan during 2000-2011, and in GPM2 Laboratory at Grenoble-INP, French as a visiting scientist during 2002.8-11. He took charge or took participated in over 40 research projects. He published over 300 papers in which over 120 papers were cited over 1000 times by other researchers, and obtained 53 patents and 8 awards in science and technology in china. 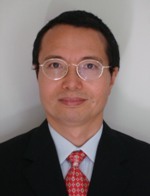 Prof. Qudong Wang is a member of several scientific societies, a member of TMS, a senior member of Chinese Materials Research Society and Chinese Mechanical Engineering Society, A member of Shanghai Metals Society Council, an expert of Shanghai Aluminum Industry Associate and Shanghai Nonferrous Metals Industry Associate, and the reviewer of some international scientific Journals. Cast iron, aluminum alloy, magnesium alloy, composites, cast die steel, foam metal, centrifugal casting, low pressure casting, die casting, extrusion and rolling, melting, test technology in metallurgy. Advanced magnesium alloys, aluminum alloys and their forming technology including creep-resistant magnesium alloy, high strength and high toughness magnesium alloy, wrought magnesium alloy, diecasting aluminum alloys, die casting, extrusion and rolling, SPD, and so on. Di Chen received his B.S. degree in Radio Physics from Xiamen University, Xiamen, China in 2002. From 2002 to 2004, he worked as an application engineer in SHIMADZU scientific instrument, Fujian, China. In 2004, he joined the Materials Science program as a graduate student in the University of Vermont, Burlington, VT, USA, where he received his Ph.D. degree in Materials Science in 2010 and worked as a research associated till 2011. From 2012, he has been working as a research faculty in the Department of Biomedical Engineering, University of Michigan, Ann Arbor, MI, USA. Diagnostic ultrasound imaging and tissue characterization. 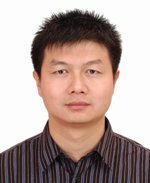 Dr. Liqiang Wang got his BS and MS degrees both in Xi’an University of Architecture and Technology in materials science in 2006. During 2004 to 2005, he joined as a researcher in Northwest Institute for Nonferrous Metal Research focus on beta titanium alloys. Then he became a graduate student in department of materials science and engineering in Shanghai Jiao Tong University where he got his Ph.D. in 2009. He was then hired by Shanghai Jiao Tong University’s department of materials science and engineering. In 2013, he was considered as a visit scholar in department of materials science and engineering in Northwestern University in the Unite State doing research focus on biomedical NiTi scaffold together with Prof. David Dunand. His research focus on the preparing, processing and analysising of biomedical titanium alloys and titanium matrix composites. He has been a member of many national and international committees and associations. To-date, he has contributed more than 50 journal, book and conference publications, including 5 plenary, keynote and invited talks, 3 book chapters and 9 patents. Jinquan Wei received his bachelor anddoctoraldegrees in Materials Science and Engineering from Tsinghua University in 1999 and 2004 respectively. He spent two year working as a post-doc fellow at Tsinghua University before he joined Department of Mechanical Engineering as a faculty member. In 2007, he was promoted to associated professor. In 2010, he joined Prof PM Ajayan’s group at Rice University as Visiting Research Fellow. In 2012, he joined Prof. YQ Zhu’s group, and was appointed as an Honorary University Fellow of University of Exeter, UK. In 2013, he transferred to School of Materials Science and Engineering at Tsinghua University. He began his research in preparation of carbon nanotubes (CNTs) since 1999 when he was still an undergraduate student. He continued his research work on the controllable synthesis of CNTs, and their electrical and optical properties as a graduate student and obtained his Doctoral degree. In 2004, he began to focus his attention on the interaction between CNTs and light. In 2006, he started his research in potential applications of CNTs in energy, and established a novel hetero-junction solar cell model. He also explored and developed potential application of CNTs and some 2D nanomaterials in the field of environmental and flexible composite. Prof Wei is an author/co-author of about 150 scientific journal papers, with accumulated citations in excess of 3000 and an h-index of 28. Experimental synthesis of high quality carbon nanotubes and some 2D nanomaterials in large scale, unique properties of nanomaterial in optical, electrical and magnetic field, and potential applications in the field of energy, environmental, functional composite and flexible electronics. Dr. MaamarBenkraouda is a professor of physics and Chairman of the department of physics at UAE University. He received his M.Sc. in physics from the University of Minnesota in 1990 and his PhD from Iowa State University, Iowa, USA in 1995. He did his post doc at Ames National Lab in Ames, Iowa, USA before joining the UAE University in 1997. Since then, he served initially as an assistant professor until he was promoted to a full professor of physics in 2008. Dr. Benkraouda served on several important committees in the university and also on the organizing committees of some international conferences. Dr. Benkraouda is a member of the American Physical Society. Electronic, structural and optical properties of materials. Qingsong Yu received his B.S. degree in Chemical Engineering from Tianjin University, Tianjin, China in 1985, M.S. degree in Polymer Chemistry from Chinese Academy of Sciences, Changchun, China in 1988, M.S. and Ph.D. degrees in Chemical Engineering from University of Missouri, Columbia, MO in 1995 and 1998, respectively. From 1998 to 2002, he worked first as a Research Assistant Professor at University of Missouri, Columbia, MO and then as a Senior Process Engineer at Novellus Systems, Inc., San Jose, CA. He has been with University of Missouri since 2002, first as an Assistant Professor in Chemical Engineering Department and then as Assistant Professor and now Associate Professor in Mechanical and Aerospace Engineering Department. He is also a cofounder of Nanova, Inc. that specializes in biomaterials and biomedical devices and instruments. He is currently serving as an Editor for SOJ Materials Science & Engineering and an Associate Editor for American Journal of Materials Science and Technology. Plasma medicine and plasma dentistry. Prof. Liming GAO received his Dr.-Ing. degree from Electrical Engineering at the Technical University, Munich in 2004. After graduation, he joined in Corporate Research, Infineon Technologies Ag in Munich, Germany, where he did research and development work on the reliability and technology analysis of semiconductor devices. Now he is an Associate Professor at Shanghai Jiao Tong University. 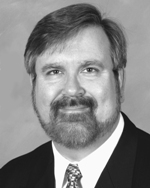 He has extensive experience in semiconductor reliability, including testing, failure analysis and simulation. He is a member of IEEE. Prof. Dr. Chuanliang Feng, received his BSc degree from Henan Normal University (Henan,China) in 1996, MSc degree from Beijing Institute of Chemistry of Chinese Academy of Sciences and Henan Normal University from 1998 to 2001,and Dr. degree from University of Twente (Enschede, the Netherlands) in 2005. After completing PhD, he was awarded a Max-Planck Society Scholarship to work at ax-Planck Institute for Polymer Research in Mainz, Germany within the material science group led by Prof. Wolfgang Knoll. From 1998 to July 2009, he was appointed as a research scientist in Biomade Technology Foundation (Groningen, the Netherlands). In Aug. 2009, he moved to Shanghai Jiaotong University as a professor in School of Material Sciences and Technology. He has published 60 papers with over 700 times of citation. In 2009, he was supported by Program for New Century Excellent Talents in University. In 2010, he was supported by Program for Shanghai Pujiang Excellent Talents in University and the Program for Professor of Special Appointment (Eastern Scholar) at Shanghai Institutions of Higher Learning. Functional nanoconstructions for sensitively clinical and biological sensing. Dr. Pruthesh H. Vargantwar is a Senior Polymer Applications Scientist in the Corporate Process and Applications Innovation Division of the Eastman Chemical Company, Kingsport, TN, USA. He received his BS in Chemical Technology (with distinction) from University Institute of Chemical Technology (formerly UDCT), Mumbai, India in 2004 followed by his dual MS in Textile Chemistry and Chemical Engineering from North Carolina State University, Raleigh, NC, USA in 2007. Later, he was awarded a Ph.D. degree in Chemical and Biomolecular Engineering from the same university in 2011 for his work in the area of polymer science. During this degree program he was a visiting researcher at the Max Planck Institute for Colloids and Interfaces, Germany. Dr. Vargantwar joined as an Applications Scientist at the Corporate Headquarters of Eastman Chemical Company in 2011 contributing towards their efforts on novel polymeric materials for new technologies. Broadly, his research focus is on structure-property relationships of polymeric materials and he has made contributions to the chemical modifications and morphological investigations of block copolymer systems, ionomers, electroactive polymers for actuator and sensor applications and polymer blends. At Eastman, he investigates complex polymeric composite systems for tire and building and construction coatings applications. Dr. Pruthesh has over ten high impact peer-reviewed journal publications and several patent applications filed with the US Patent Office. He has presented his work in numerous domestic and international conferences and published proceedings. His two published papers have appeared as cover pages of reputed international journals and his work on electroactive actuators has been featured in WW-EAP Newsletter of NASA’s JPL lab. Dr. Vargantwar has been invited to chair conference sessions such as the ones by ‘Engineering Properties and Structure’ and ‘Alloys and Blends’ divisions of the SPE’s ANTEC Conference in 2015. 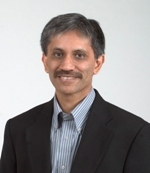 For his significant contributions to fundamental and applied polymer science, Dr. Vargantwar was selected as a finalist of the ACS AkzoNobel Awards in Applied Polymer Science in 2011, has received the Best Overall Poster Award at the MRS (Materials Research Society) Fall 2010 Meeting and was awarded a prize at the AATCC’s Herman and Myrtle Goldstien Student Paper Competition in 2007. He is a nominated full member of Sigma Xi honor society and as well of a highly prestigious Fiber Society. 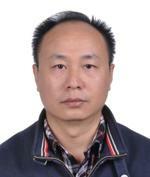 Junhui Li (School of Mechanical and Electronical Engineering, Central South University, China) is a Professor. 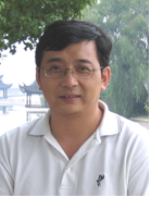 Professor Li has over forty journal publications (locally and internationally) and more than thirty conference papers. More than 10 national research projects are being hosted or completed. A provincial science and technology progress award (first prize, ranking 1) was obtained in 2008. His research interest is essentially on studies of material microstructures test (TEM with EDX, SEM, XRD, etc.) and numerical (e.g., FEM) simulation. He has worked extensively in other areas of micro and nano manufacturing. Micro- and nano- structural studies of complexes in material characterization, manufacturing and automation microbiology, electronics interconnection, and nano-manufacturing. 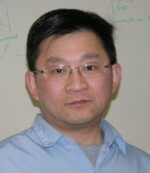 Anmin Hu, Professor of School of Mater. Sci. and Eng., Shanghai Jiao Tong University, PR China. Research works are focus on the science and technology of microelectronics and energy conversion devices. Such as: micro-bump forming technology and electro deposition, Low-temperature solid state bonding technology, Lead-free soldering technology, lead-free lead-frame with a high reliability, surface micro/nano-structure arrayed materials for electronic package application, oxidation-induced failure mechanism of lead-frame copper alloy. The secretary-general of “The first China-Japan seminar on lead-free solders technique” and “The second China-Japan seminar on lead-free solders technique”. The committee of “Electronic Packaging Technology & High Density Packaging”. Dr. Tong Cui is a Senior Engineer at Qualcomm Inc. He received his Ph.D. degree from Chemical Engineering at the University of South Carolina in 2012. After Graduation, he joint Qualcomm packaging department, where he conducts research and development work on IC packaging. He has extensive experience in polymer/composites materials, including material compounding, mechanics, degradation and reliability. He has been served as Editorial Board Member in the Journal of Testing and Evaluation. Arjun Krishnan is a Sr. Packaging Engineer in the Assembly Test and Technology Development division at Intel Corporation, Chandler, AZ, USA. He received a B.Tech. degree in Chemical Engineering from IIT Madras (2005), India and a Ph.D. degree in Chemical and Biomolecular Engineering (2010) from North Carolina State University, Raleigh, NC. His Ph.D. dissertation research activities included the study of morphology, rheology and electroactive properties of block copolymer blends for use in novel biomimetic and tactile systems, as well as sensors and nanofibers and flex circuits. 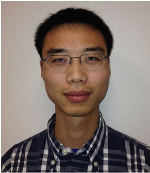 He joined Intel in 2010, where his current research and development interests are devoted to polymer composites for microelectronic packaging applications. He has published over 15 research papers and a book chapter, besides several patent applications filed with the US Patent Office. His work has been featured on the cover of an international journal and has received the Best Overall Poster Award at the MRS (Materials Research Society) Fall 2010 Meeting. Since 2011, Dr. Valmikanathan Onbattuvelli is working as a Sr. Process Engineer in the Assembly Test and Technology Development division at Intel Corporation, Chandler, AZ, USA. Dr. Onbattuvelli received his Bachelor of Technology in Polymer Engineering from University of Mumbai in 2005. He pursued his graduate studies at Oregon State University where he received his MS and PhD degrees in Industrial Engineering in 2007 and 2010, respectively. Dr. Onbattuvelli worked on synthesis and characterization of metal-polymer nanocomposites, during his Masters. His PhD work was in the area of ceramic injection molding where he proposed a novel model of using bimodal micro-nano powder mixture to increase the feedstock’s packing density. Dr. Onbattuvelli has published 13 peer reviewed research articles, and presented around 15 conference proceedings alongside of 2 book chapters. He also served as a member in the Program Committee of PowderMet2014 World Congress, Orlando, FL. Additionally, Dr. Onbattuvelli serves as a peer reviewer for the journals, Journal of Applied Polymer Science, Molecules, Measurement, Materials and Manufacturing Processes. He is a member of American Ceramic Society, Metal powder Industries Federation, Sigma-Xi. 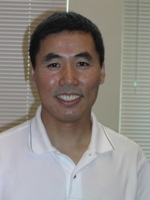 Dr. Kevin Lo is a faculty member at the University of Connecticut with research interest in the area of biochemistry, cell molecular biology, drug delivery, tissue engineering, and regenerative medicine. He has published 30 articles in those areas in many prestigious journals One of the goals of his lab is to develop novel methods for therapeutic applications. For instance, the current research program in Dr. Lo's group is to develop small molecule approach for musculoskeletal tissue engineering. This method will enable direct control the intracellular signaling pathway governing biological tissue regeneration. Dr. Lo has served as a Member of the Editorial Board for several journals and a Guest Editor for the journal "Current Pharmaceutical Design". Drug delivery nanoscale device for metabolic bone diseases. Evaluate the therapeutic potential of using cytoplasmic dynein motor as a nanoscale motor vehicle to deliver drugs and/or genes intracellularly. Dr. Pallav Gupta received his M.Tech. and Ph.D. degrees from Indian Institute of Technology (Banaras Hindu University), Varanasi (INDIA). Presently he is working as an Assistant Professor (Grade-I) in Department of Mechanical and Automation Engineering, Amity School of Engineering and Technology, Amity University, Uttar Pradesh, Noida (INDIA). He is working in the area of nanomaterials and nanocomposites for the last 7 years. 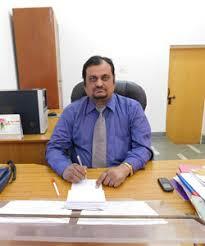 He has published 37 research papers in national and international journals/conferences. Apart from this he also has a chapter published in book entitled "Advances in Nanomaterials" (SPRINGER). His research activities have also been covered by several national level newspapers and magazines. He is also having several awards/honors/recognitions added to his credit. Recently, he also worked as a Guest Editor for Special Issue on "Advances in Nano-Materials and Corrosion" under "Journal of Innovations in Corrosion and Materials Science". 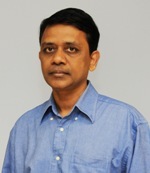 He is also serving as reviewer of several international journals. He is also Ex-Young Scientist/PI of CSTUP Project and also an Ex-Investigator of IE(I) R&D infrastructure development grant. 1949.07.18 born in Okayama (Japan). 1968.04-1972.03: Osaka University, Faculty of Engineering, Department of Nuclear Engineering. 1972.04-1974.03: Garduate School of Osaka University (Master Course), Department of Nuclear Engineering. 1974.04-1977.03: Graduate School of Osaka University (Doctor Course), Department of Nuclear Engineering. 1977.09-1978.12: KfK - Kernforschungszentrum Karlsruhe, IMF - Institut für Material- und Festkörperforschung, West Germany; Gastwissenschaftler. 1979.02-1982.05: University of Sheffield, Department of Metallurgy; Post-doctoral Researcher. 1982.07 - : LNETI - Laboratório Nacional de Engenharia e Tecnologia Industrial; Researcher. institute name changed in 2009 to LNEG - Laboratorio Nacional de Energia e Geologia. A distinguished academician, Prof. Jha is an alumnus of IIT, Madras (NIRF-01). Prof. Jha is a former Director of CII Technology Centre andhe has also served as the “Director”, “Campus Director”, “Chief Advisor”, “Principal” , “Acting Director”, Vice Principal,“HOD” and “Head – R & D” in reputed educational groups lile LNCT, Medicaps, DAV University, Lovely Professional University (LPU) etc. He has visited 1.Yale (Yale University,USA – An Ivy League University – Times world ranking 07)– Great Lakes Research centre, 2.University of Colombo (Sri Lanka), 3. Singapore – MIT(USA) Alliancefor Research & Technology(SMART), Singapore, 4.Technical University of Munich (TUM – Germany # 1 Univ.– QS 2015, ARMU 2016) Asia campus,5. (SUTD)Singapore university of Technology & Design, 6.Tribhuvan University Kathmandu (Nepal),7. Curtin University of Technology. Australia(SG Campus) 8. Kasetsart University (Thailand), 9. National Singapore University (NUS) Singapore (Asia Ranking – 02/ World Ranking -07), 10. NTU Singapore.